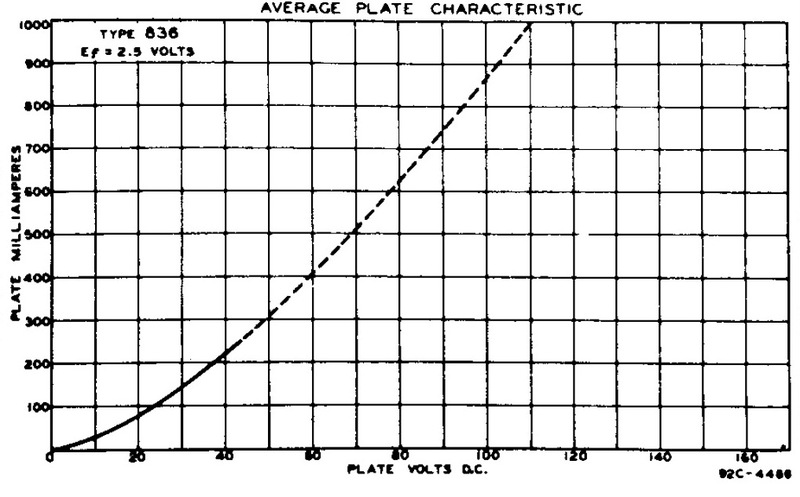 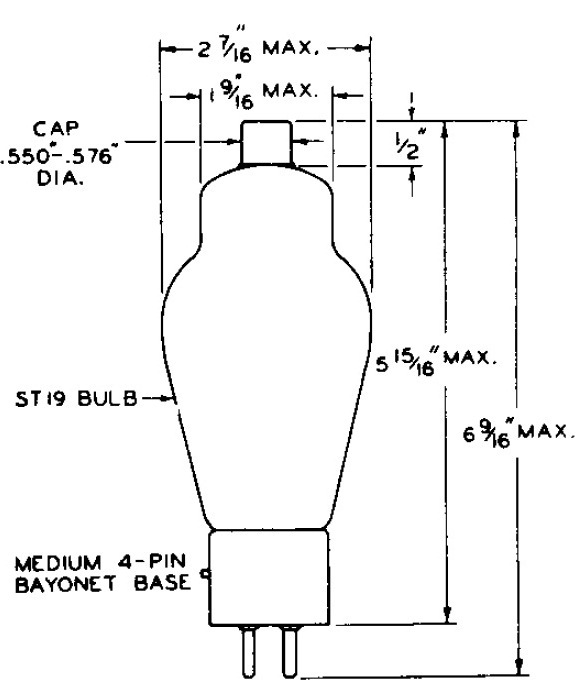 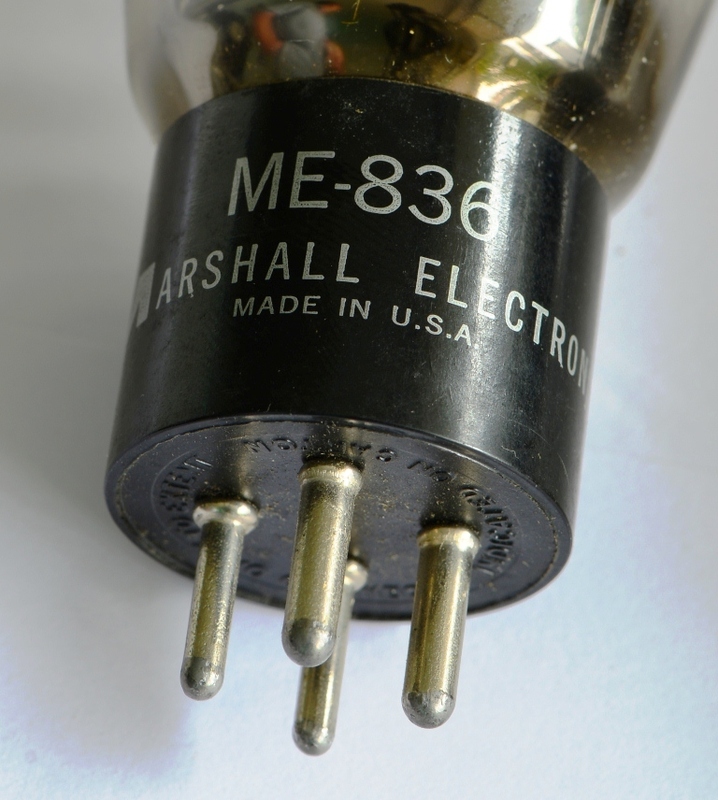 Like the 866A, the 836 is a single diode. 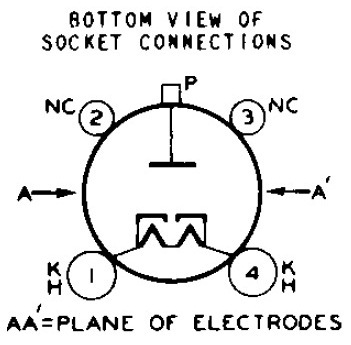 Two of them are needed for a full wave rectifier or four oif them for a full wave bridge. 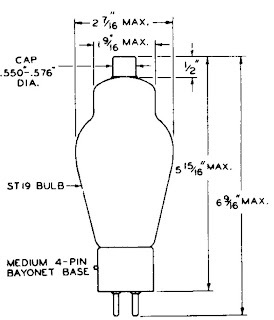 It has the same pinout as the 866A, a UX4 base and a medium size cap. 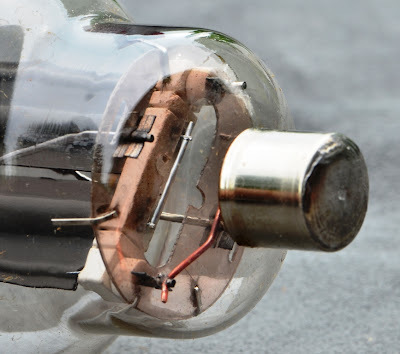 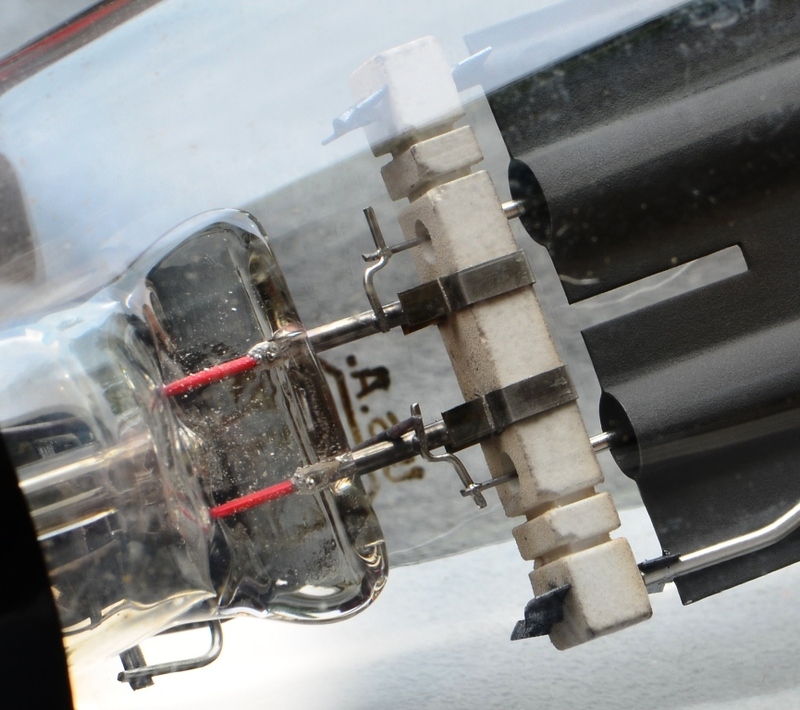 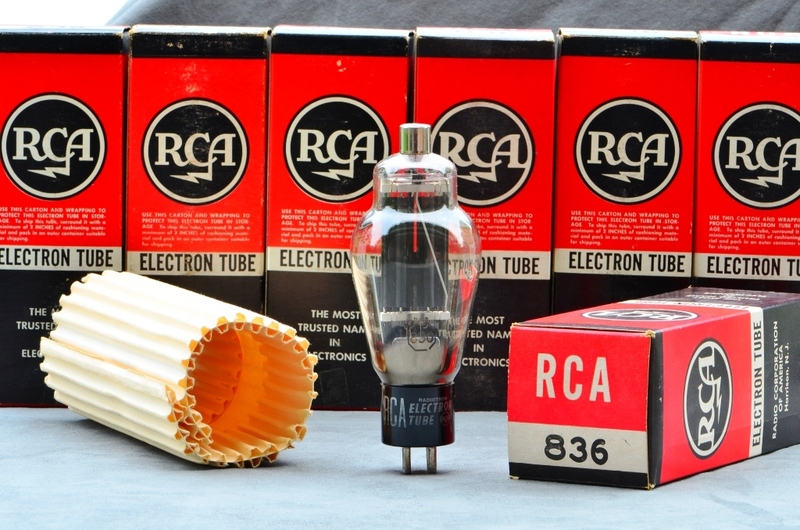 Inside the two tubes in the plate structure are two separate cathode sleeves with the filament inside. 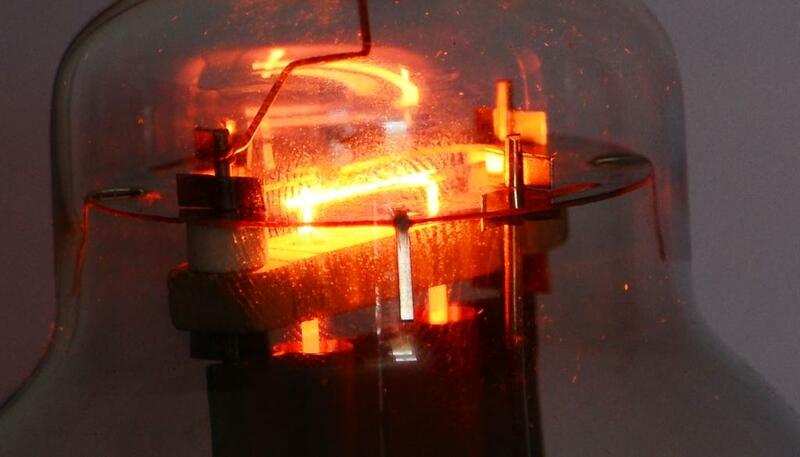 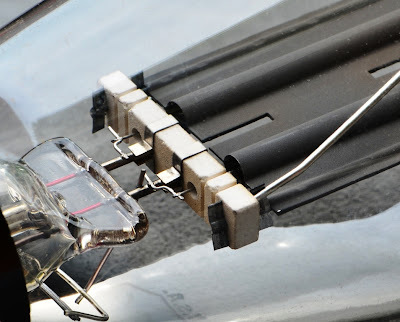 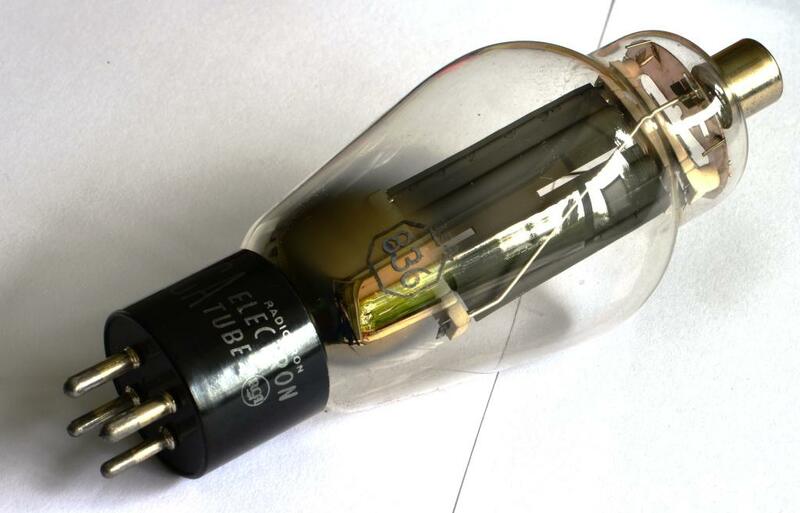 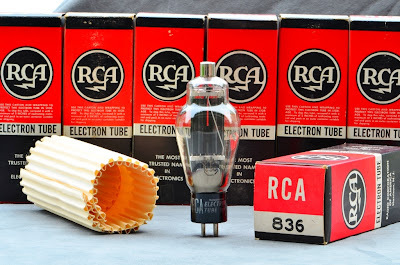 As mentioned at the beginning of the post, this is the second article of a small series about transmitting type tubes. 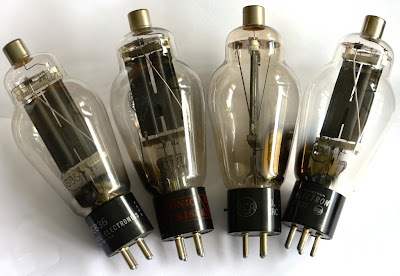 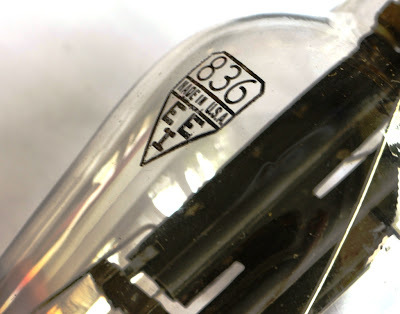 Over the next month I will cover more tubes from the 800 series, stay tuned! 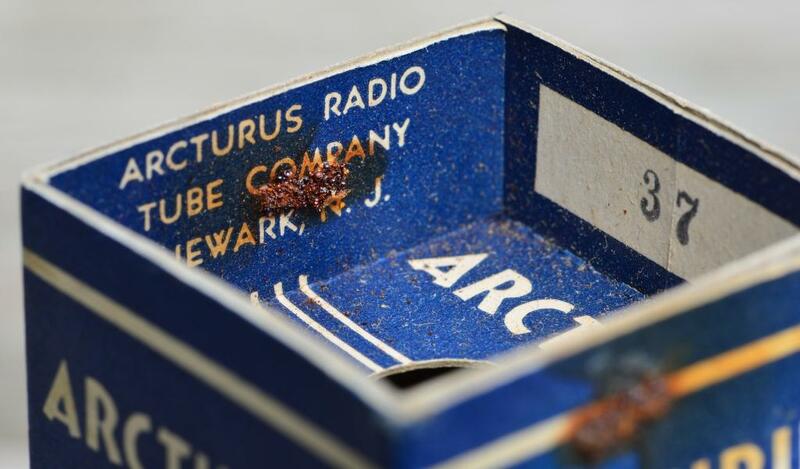 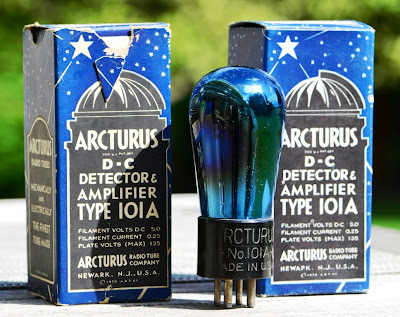 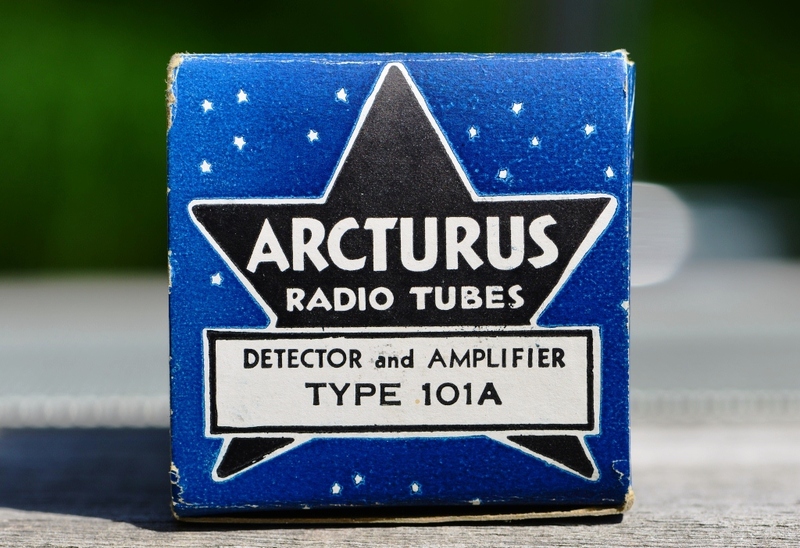 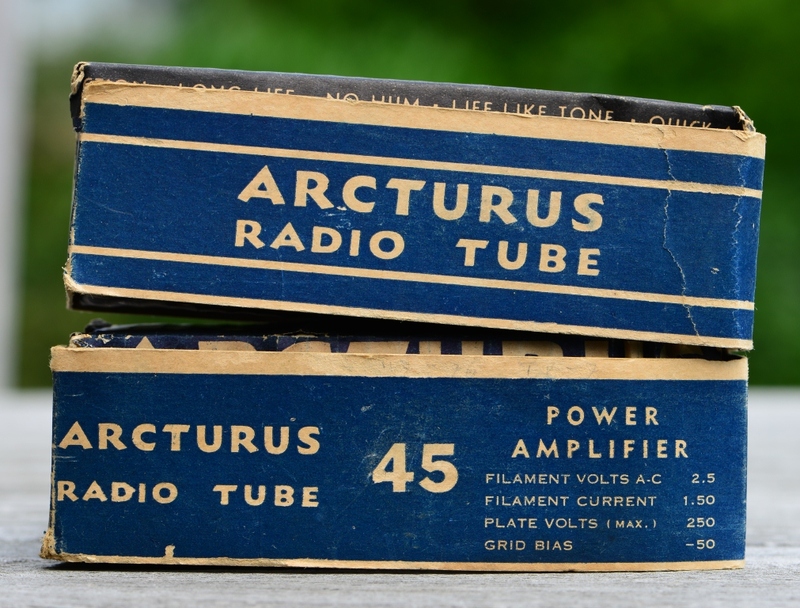 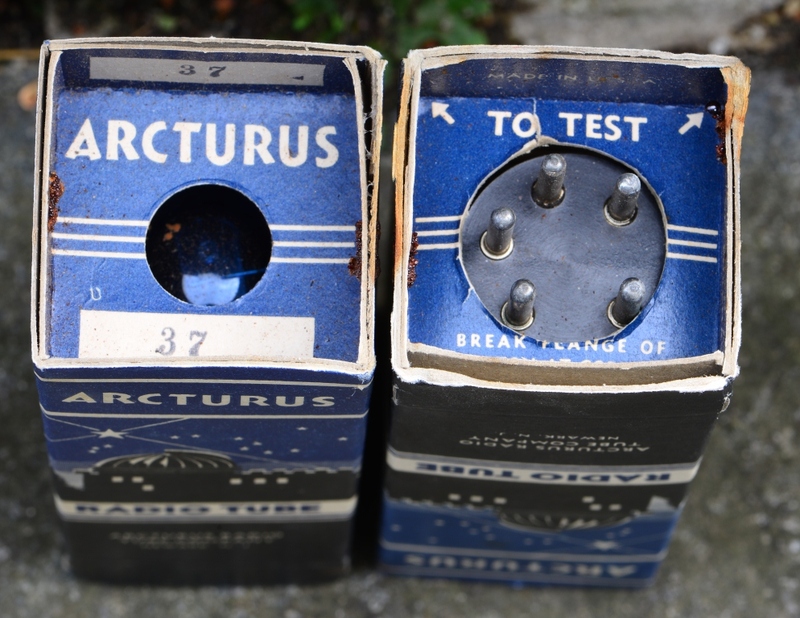 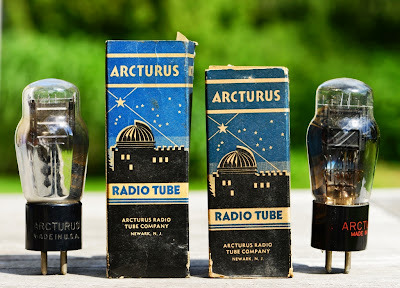 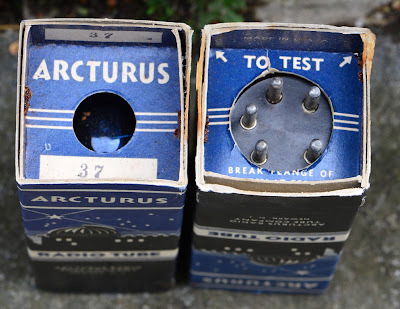 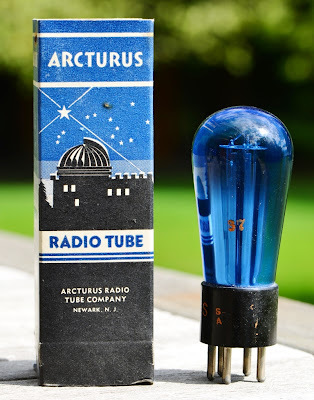 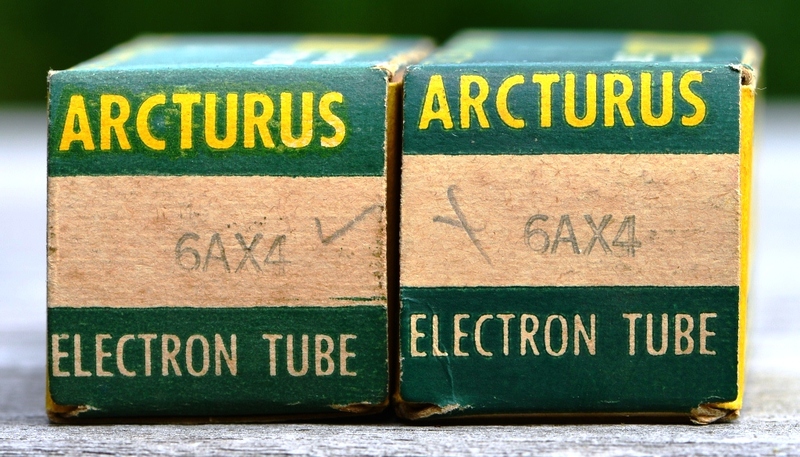 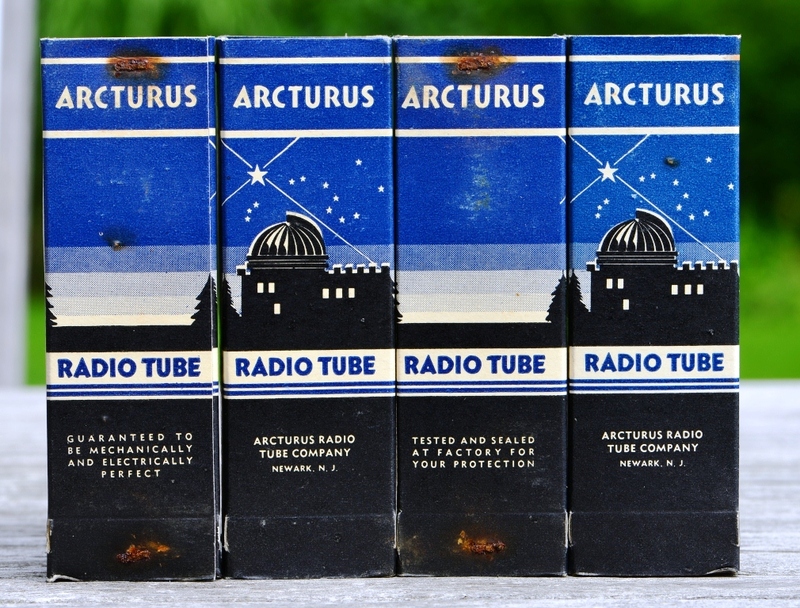 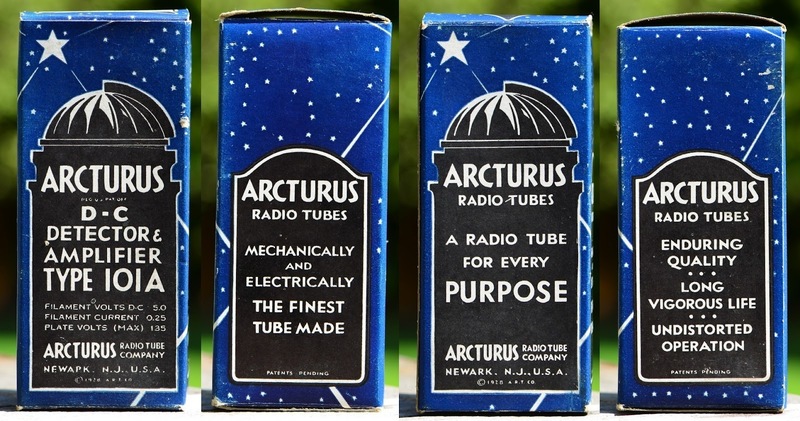 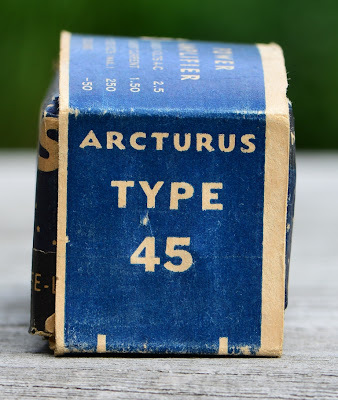 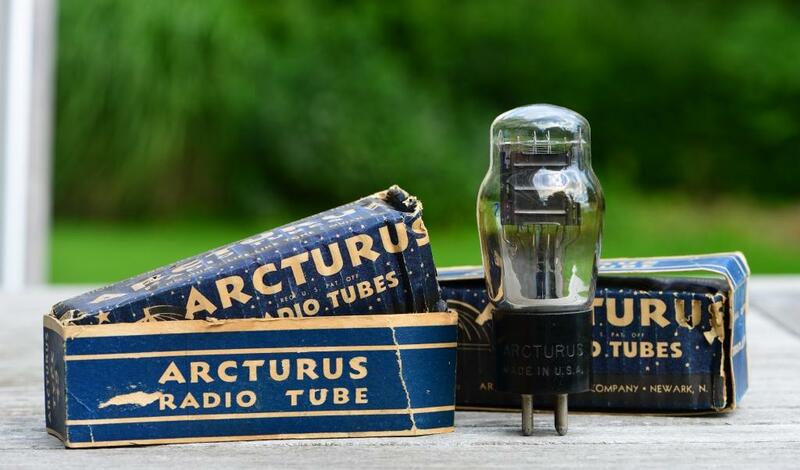 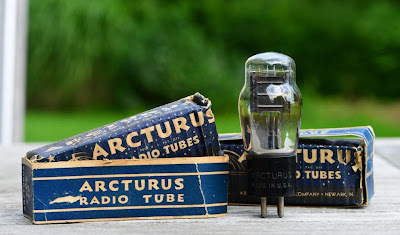 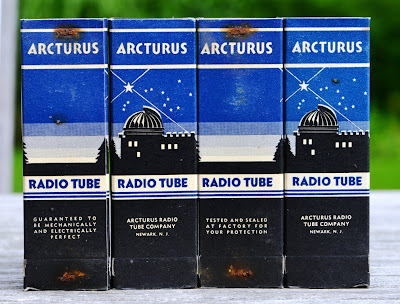 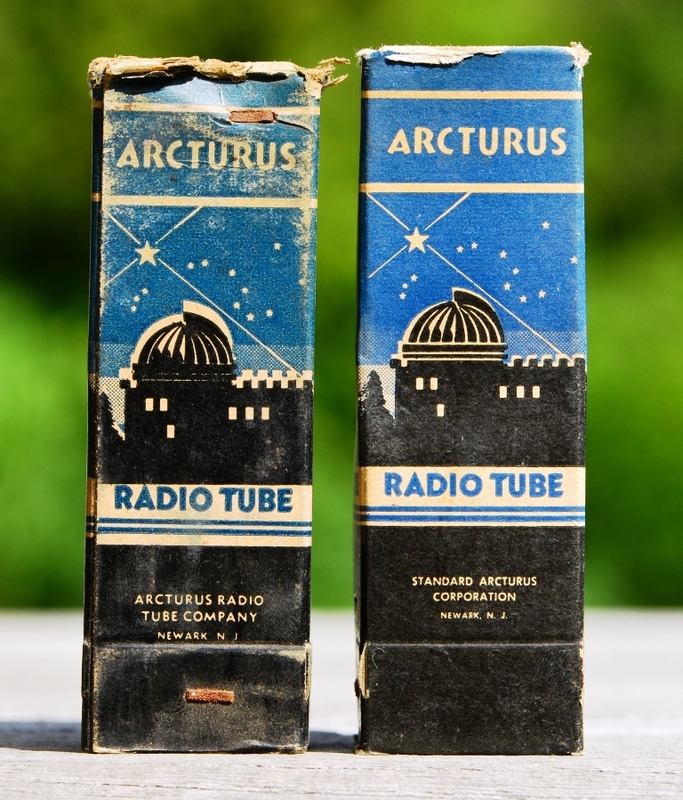 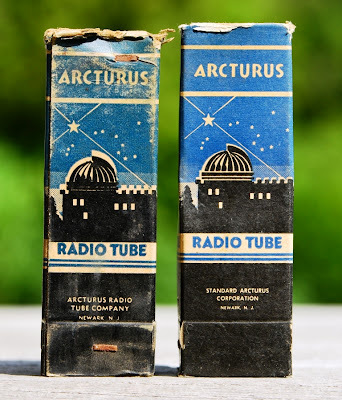 Today I will show the tube boxes of a radio tube manufacturer who was famous for the beautiful artwork: Arcturus. 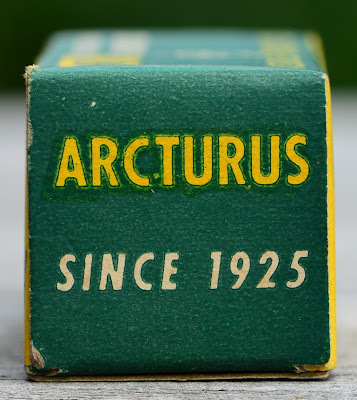 I could not find much about the history of this company. It was founded in the 1920ies in Newark, New Jersey, USA. The actual year of their incorporation seems unclear. 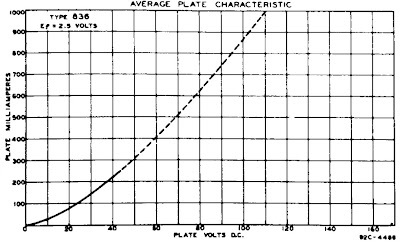 Some sources state 1927, others 1926. On some of their boxes it says 'since 1925'. 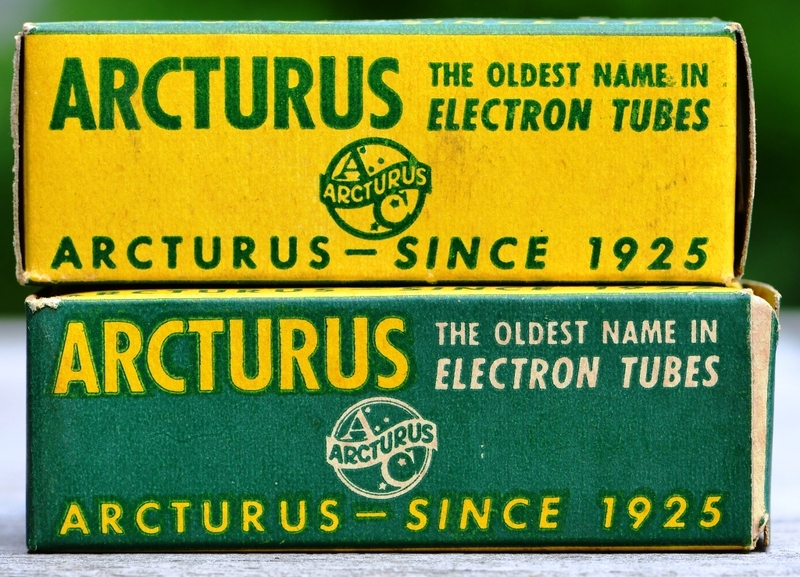 The tube could not be removed from the box without damaging the seal. 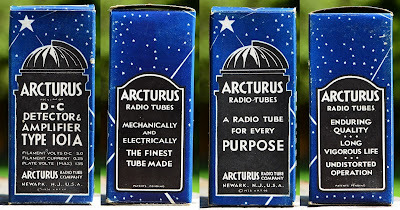 This was a way to ensure the tube was unused. 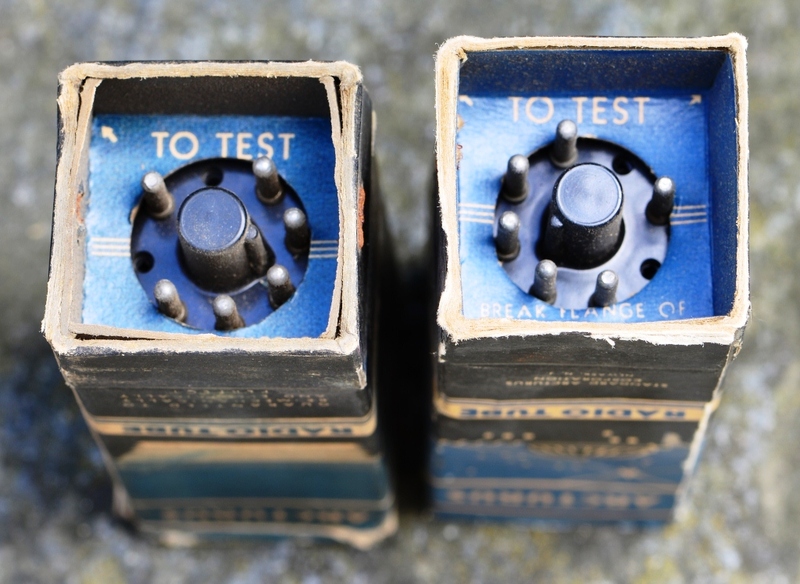 The tube could be tested in the box, without removing them. 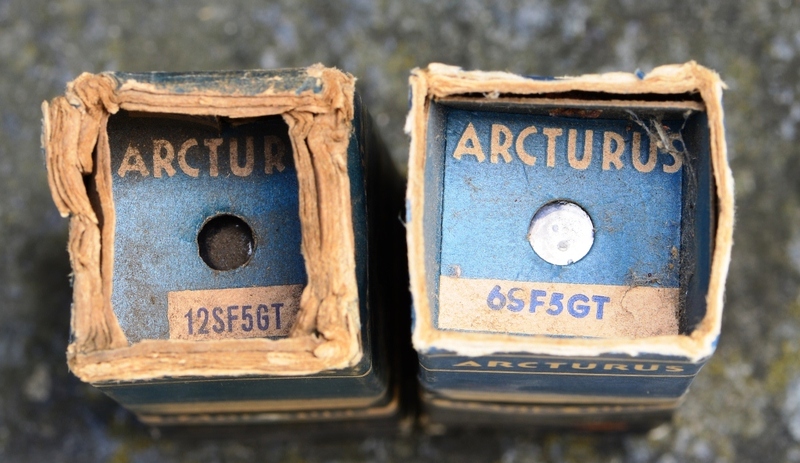 The seals corroded a bit over time but are still intsct on these boxes. 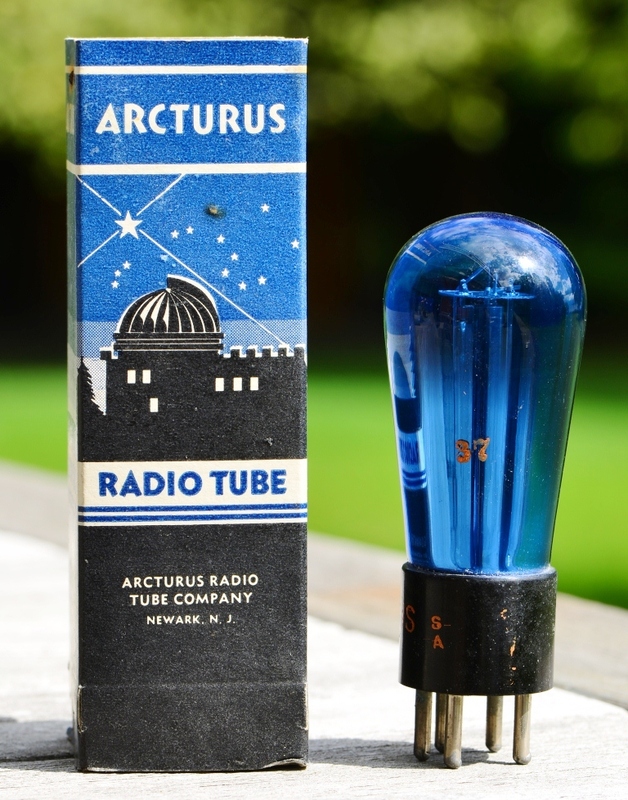 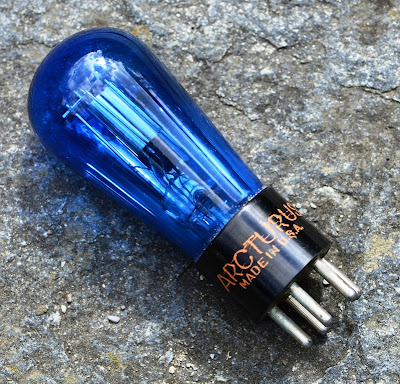 When they changed to ST style tubes no more blue glass was used. 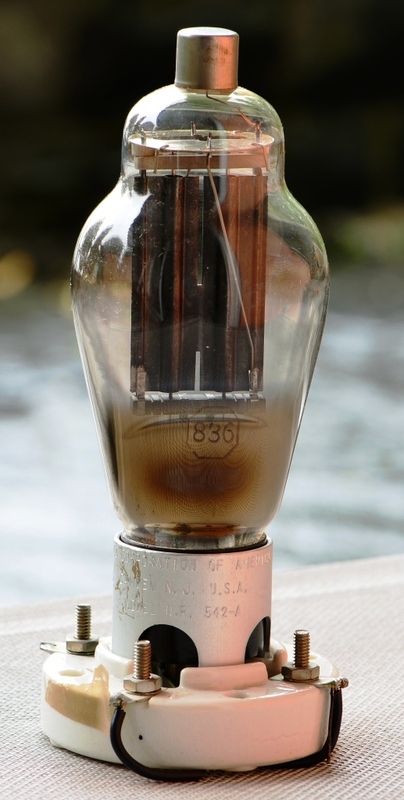 The photo above gives the indication for 1925 as the founding year. 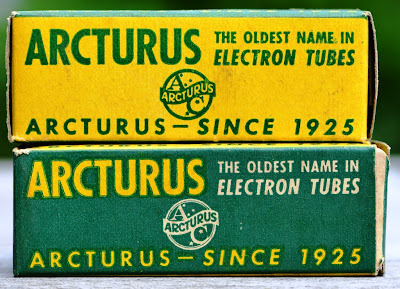 I have no information how long this company produced tubes, or if they got acquired by another company at some time.